In late December, while most people were on holiday, the utilities submitted plans to the California Public Utilities Commission (CPUC) to assess electricity prices that vary with the season and time of day. These plans detail the next two years of piloting time-of-use (TOU) pricing for most residential customers, and will help California reduce pollution and increase renewable energy production. TOU electricity rates reward customers who shift energy use to times of the day when clean energy – like wind and solar – is plentiful, and electricity is cheaper. Already in use by commercial and industrial customers, starting in 2019, California households served by the big 3 utilities will also be able to benefit from TOU pricing. By shifting their energy use to times of the day when electricity is cleaner and cheaper, customers will be empowered to lower their monthly electricity bills and use more of California’s abundant, renewable energy resources. Meanwhile, the utilities will have the next three years to fine tune their TOU strategy by analyzing these pilots, with the goal of achieving customer understanding and satisfaction through outreach, education, and new technology. These plans are a great start, but there is still an opportunity to refine them. Doing so will ensure Californians are well-positioned to successfully transition to TOU pricing in 2019. Each utility will evaluate three different electricity rate designs across a broad sampling of customers, setting the stage for scientifically rigorous pilots. The first rate, roughly speaking, is most similar to the TOU rates currently offered by the big three utilities. The second rate’s peak, or highest, price window is shorter and rewards customers who increase their energy use when solar power is plentiful (usually between 11 AM and 3 PM). The third rate is intended to provide the sharpest incentive for customers to use electricity from clean, renewable sources. This rate has the highest peak price, but customers benefit the most with this option from shifting or lowering energy use – by using strategies and enabling technologies such as home batteries, energy efficiency, and smart thermostats. 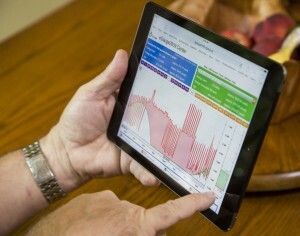 Finally, each utility proposes to test how customers interact with technologies. SCE and SDG&E will examine how customers use smart thermostats and PG&E will test a smart phone app. SDG&E’s third rate has many attributes Environmental Defense Fund (EDF) endorses, including hourly price changes to reflect the near-real-time cost of electricity. Furthermore, this rate will provide a bill credit when electricity from solar plants, for example, is so plentiful that the cost of electricity goes down. The bill credit is yet another way to incentivize people to use electricity when there is ample clean energy available, making it easier for the state to rely more and more on these renewable sources. EDF submitted letters to the CPUC encouraging PG&E and SCE to adopt a third rate in their pilots reflecting what SDG&E is piloting because we believe it best matches the type of pricing system California needs to green the electric grid. The evaluation plans laid out by SDG&E and SCE clearly list what objectives will be met in the next two years of pilots, and what will be done in the 2018 pilot when utilities can explore a process for automatically transitioning customers to TOU pricing. Their plans correctly emphasize studying how customers change their energy use when switched to TOU pricing and how these changes translate into utility bill changes and satisfaction. However, EDF sees additional opportunities for the utilities to make these plans stronger and more ambitious. Testing clear customer options. Not all of the electricity rates proposed by SCE and PG&E provide significant electricity price differences between times of day. The pilots should look at a greater diversity of TOU rates, as different combinations will work better for different people. If all of the rates offered are too similar, people won’t be able to distinguish between them. This confusion will likely result in customers not shifting their energy use to align with times when renewable energy is available – one of the main benefits of TOU electricity pricing. Inspiring use of new technologies. The pilots should determine how to inspire people to adopt technologies that can shift electricity use automatically when the electric grid is stressed, or turn on routinely during times when clean energy is abundant. By studying this focus group, the utilities could gain insights into how they might motivate others to adopt similar tools. SCE and PG&E could be more ambitious in this moment of testing. Comparatively, SDG&E has the right ambition and focus in their third pilot rate, but proposes a $40 per month fixed charge that may undercut the financial benefits customers can receive with TOU electricity pricing. EDF recommends SDG&E test a demand charge, which instead of adding a fixed amount to the utility bill each month, adds a fee based on the customer’s peak electricity use. While the demand charge may seem at first to have the same effect as a fixed charge, it can be avoided. Practices and technologies, such as automated demand response that, for example, dims lights and slows fans in coordination rather than incur peak demand charges, can make this option more beneficial to customers. As I’ve written elsewhere, TOU electricity rates provide numerous benefits, one of which is putting all of our clean energy to use. EDF and others are working to ensure the TOU pilots are designed to provide utilities and Californians with the information necessary for the program’s eventual success. Namely, to establish the electricity rates we need to help California build a clean, affordable, and reliable energy system. This entry was posted in Clean Energy, Energy and tagged California Public Utilities Commission, Pacific Gas & Electric, San Diego Gas & Electric, Southern California Edison, Time-of-use, Time-of-use pricing. Bookmark the permalink. Both comments and trackbacks are currently closed. You may find this recent CALMAC paper interesting. 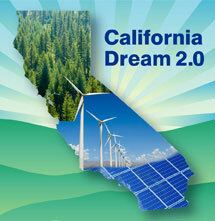 It explores the impacts of TOU rates on small and medium businesses within PG&E’s territory.